/ “Brutal” Chinese Market Pushes Startups to U.S.
“Brutal” Chinese Market Pushes Startups to U.S.
For many small business owners, oversea expansion usually comes after domestic success and sustained growth. But a group of Chinese tech entrepreneurs have taken the opposite approach-to avoid copycats at home, they had to go to the U.S. to build and launch, in order to succeed in China. “We initially entered the western market instead of China because we needed to monetize,” said Michael Wong, co-founder and CEO of CooTek, a young mobile software developer based in Shanghai. 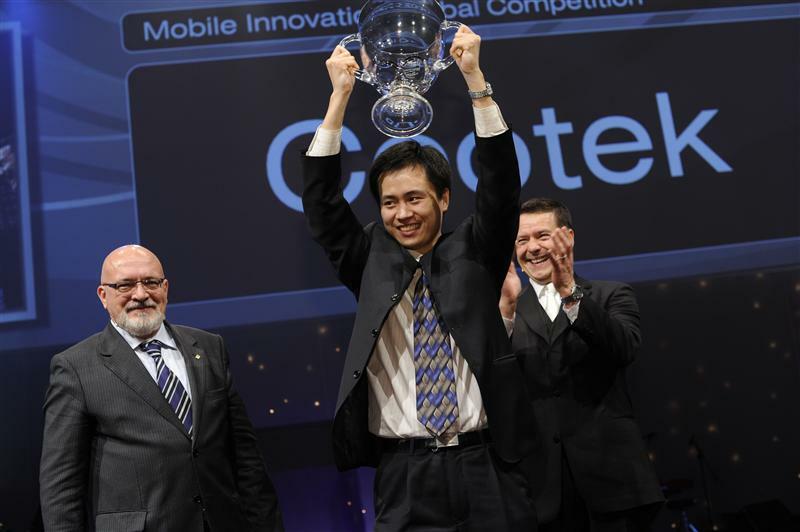 In 2008, CooTek released their first product-Touchpal, a virtual keyboard application which allows users to type faster and more accurately on their Windows mobile phones. In a few months, thousands of copies were sold for $12.99 each. At that price in China, Wong said, no one would ever use their app because free copycats would quickly emerge and drive them out of the market. CooTek was able to survive the high mortality faced by startup companies, he said, because of a sustainable cash flow earned from its American customers. The unconventional route to avoid being out-spent by competitors turned out to be a successful strategy for CooTek. The company released the Chinese version a few months later and began to get licensing contracts from cellphone manufactures both in and outside of China, which Wong said brings the company millions of dollars in revenue annually. The app is now running on more than tens of millions of smart phones around the world, he added, and he expects that to reach 100 million by 2013. To protect his company’s intellectual properties, Wong also spent a large proportion of the company’s income on U.S. and international patent registrations. He said patents are like “land mines” you might not see instant benefits, but they would protect you from larger competitors in the long run. PickRide is another Chinese Internet company that launched overseas for a better chance to thrive. Its product, a real-time, location-based carpool application, was also released in the U.S. first. “Establishing our brand in America is a critical step for us,” said PickRide CEO Ye Jianfei, who got his first investment from a Chinese American venture capitalist. He said that when PickRide appeared in China several months after its U.S. release, they already had more than 400,000 users across America. But still, Ye said, dealing with the situations at home is one tough job. “We not only face challenges from business competitors, but also from some corrupt officials,” Ye said, explaining that he had to meet with local transportation authorities to negotiate his way into the taxi business. But the head of that authority, in Hangzhou, Ye claimed, where PickRide is based, stole the business idea and tried to monopolize the market using a knockoff application. One piece of evidence may be the spat between Tecent, China‘s largest Internet giant, and Qihoo 360, a smaller Internet safety company in late 2010. The two accused each other of defamation and as the fight escalated, Tecent threatened to stop running their application on devices that also had Qihoo’s product. The potential software compatibility disaster was eventually prevented after several government agencies stepped in to mediate. But until today, the two parties are still involved in lawsuits against each other. Brutal as it is, the China Internet market is still a pie that everyone wants a bite of. According to Distimo, an application market analysis firm, China is now the second largest market after the U.S. in terms of app download volume. And for many small Chinese developers, making a U-turn in America could be their best bet. Last March, Congress introduced a bill called the Startup Visa Act of 2011. The proposed law is designed to grant immigration visas to foreign entrepreneurs who want to start a business in the U.S. and create jobs. CooTek‘s Michael Wong is not waiting for the bill to pass. He said the company is looking to hire local marketing professionals as well as product designers very soon. But the core development team, including him, will remain in China.